High School Contest #6 2018-2019 Posted! 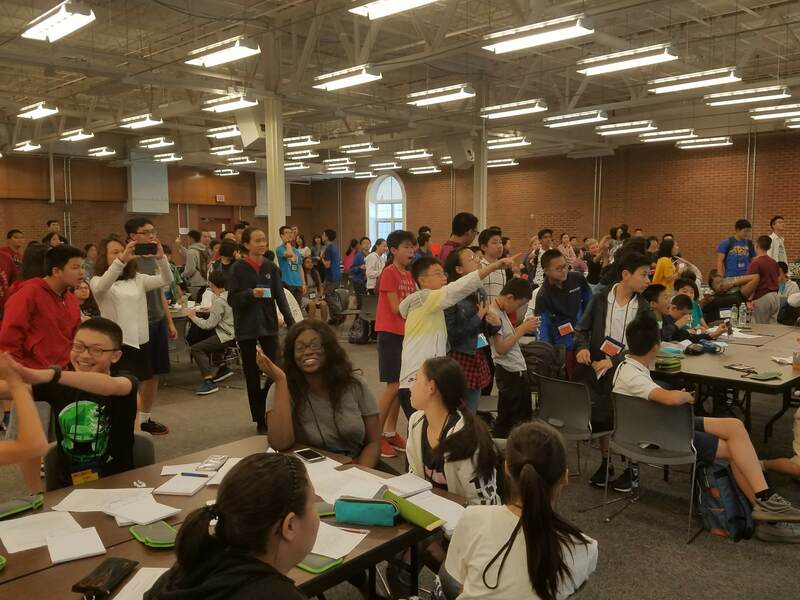 The online results for the #6 High School Contest for 2018-2019 have been posted! Email results are due to be sent shortly. You can find them on the page for Contest Results High School April 2019 or by clicking the Latest Contest Results button above. A new High School Newsletter April 2019 is also available on the Newsletter page! OFFICIAL Contest Results Grades 6, 7, & 8 2018-2019 Posted! 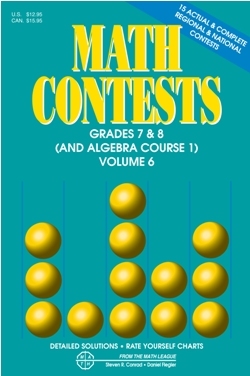 The OFFICIAL online results for the Grade School 6-7-8 Contest for 2018-2019 have been posted! Email results are due to be sent shortly. You can find them on the page for Official Results Grads 6,7,8 2018-2019, or by clicking the Latest Contest Results button above. Results for HS Contest #5 March Posted! 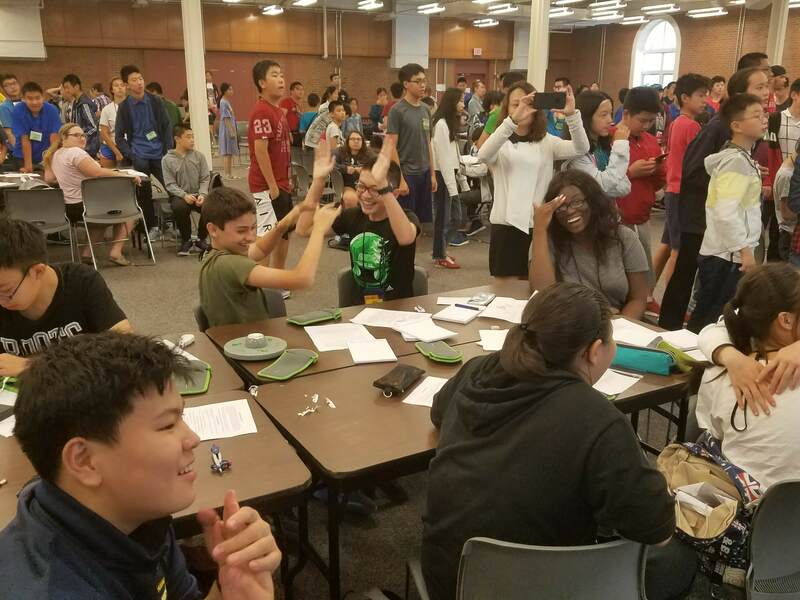 The online results for the #5 High School Contest for 2018-2019 have been posted! Email results are due to be sent shortly. You can find them on the page for Contest Results High School March 2019 or by clicking the Latest Contest Results button above. A new High School Newsletter March 2019 is also available on the Newsletter page! Results for HS Contest #4 February Posted! The online results for the #4 High School Contest for 2018-2019 have been posted! Email results are due to be sent shortly. You can find them on the page for Contest Results High School February 2019 or by clicking the Latest Contest Results button above. A new High School Newsletter February 2019 is also available on the Newsletter page! 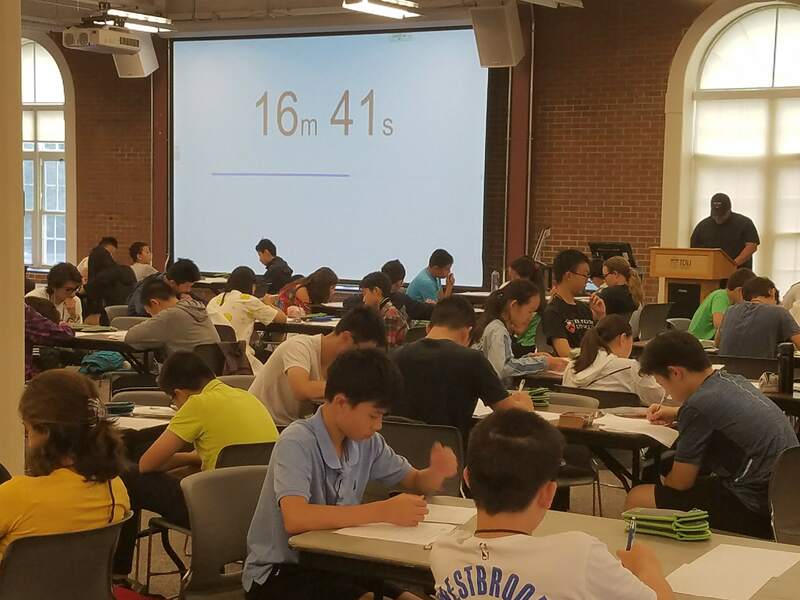 For the past seven years, Math League has held a summer tournament for students from China, Canada, United States, and selected students from other countries. 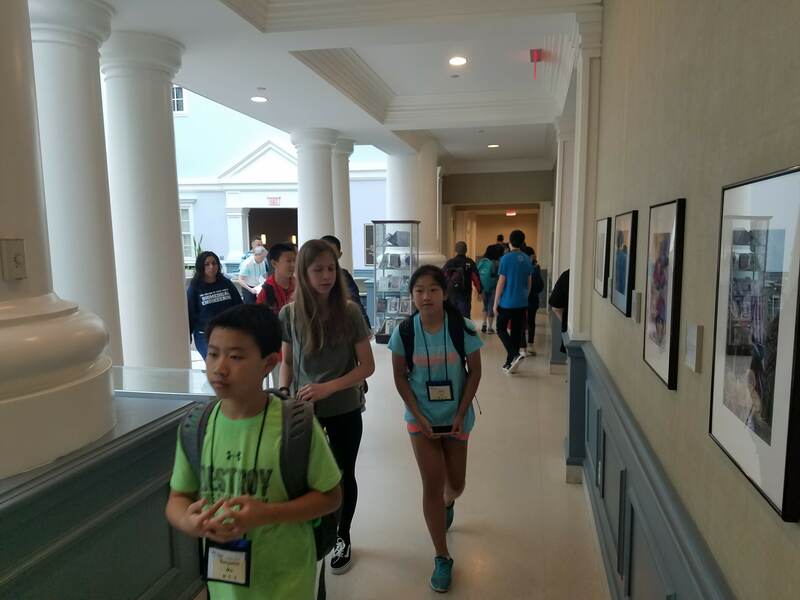 In the past, students needed to qualify by taking our annual contests and being among the high scoring students on these contests. This summer, we are opening our program to students whose schools do not participate in our annual contests. We have a limited number of spaces available for such students since priority admission will be given to those students who apply based on their scores on our annual contests. 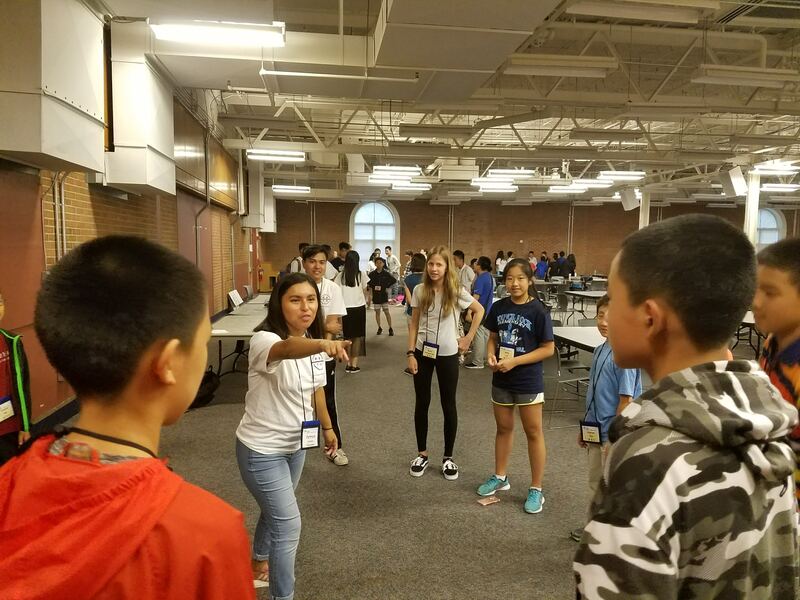 We will be holding our annual summer program for students in grades 4, 5, 6, 7, 8 and 9 at The College of New Jersey in Ewing Township NJ. 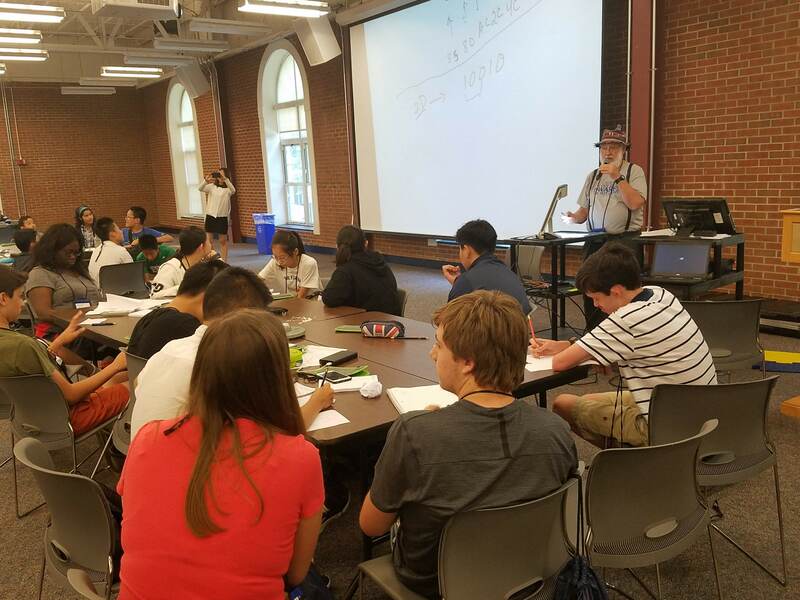 The program consists of six days of math contests (individual questions, team questions, relay questions, and speed questions) as well as a series of lectures on various mathematical topics. 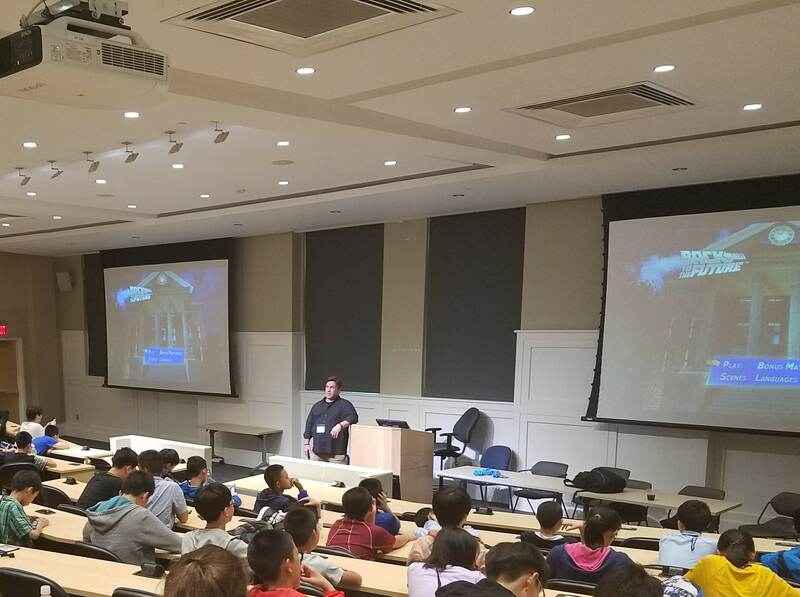 During the past three summers, we have had speakers from such schools as Princeton University, Columbia University, Rutgers University, and Williams College. 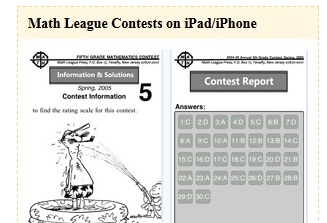 A complete list of speakers as well as additional information about our program may be found at https://www.mathleague.com/index.php/31-mathleaguewebsite/general/261-math-league-competitions The program for students in grades 4 and 5 will be held from July 13th through July 18th; the program for students in grades 6, 7, 8, and 9 will be held from July 23th through July 28th. 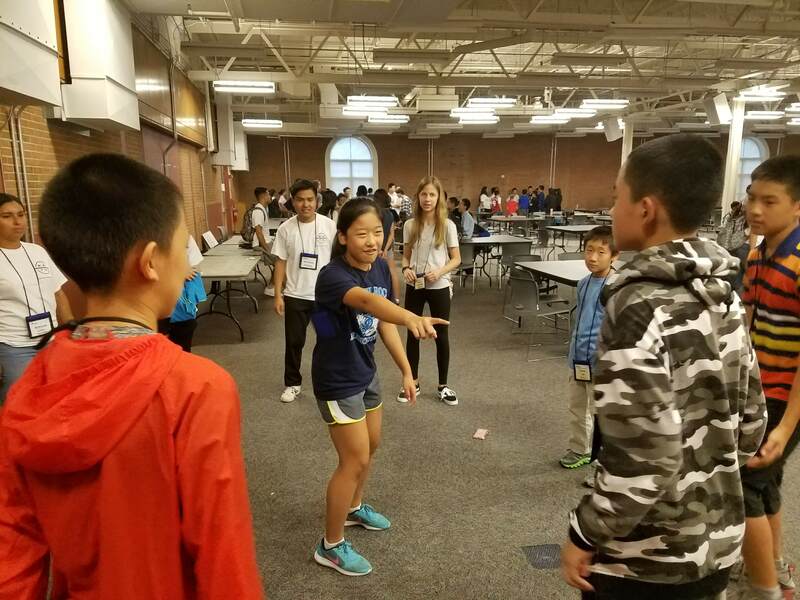 Last summer, approximately 300 students from China, Japan, South Korea, Canada, and the United States attended our program. This is a residential program--students will remain on campus for the six days of our program. Results for HS Contest #3 January Posted! The online results for the #3 High School Contest for 2018-2019 have been posted! Email results are due to be sent shortly. You can find them on the page for Contest Results High School January 2019 or by clicking the Latest Contest Results button above. A new High School Newsletter January 2019 is also available on the Newsletter page! Results for HS Contest #2 December 2018 Posted! The online results for the #2 High School Contest for 2018-2019 have been posted! Email results are due to be sent shortly. You can find them on the page for Contest Results High School December 2018 or by clicking the Latest Contest Results button above. A new High School Newsletter December 2018 is also available on the Newsletter page! Results for HS Contest #1 November 2018 Posted! 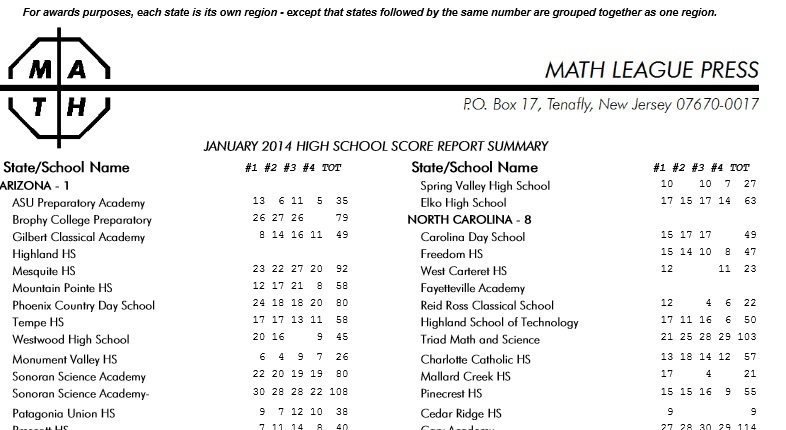 The online results for the #1 High School Contest for 2018-2019 have been posted! Email results are due to be sent shortly. You can find them on the page for Contest Results High School November 2018 or by clicking the Latest Contest Results button above. A new High School Newsletter November 2018 is also available on the Newsletter page! 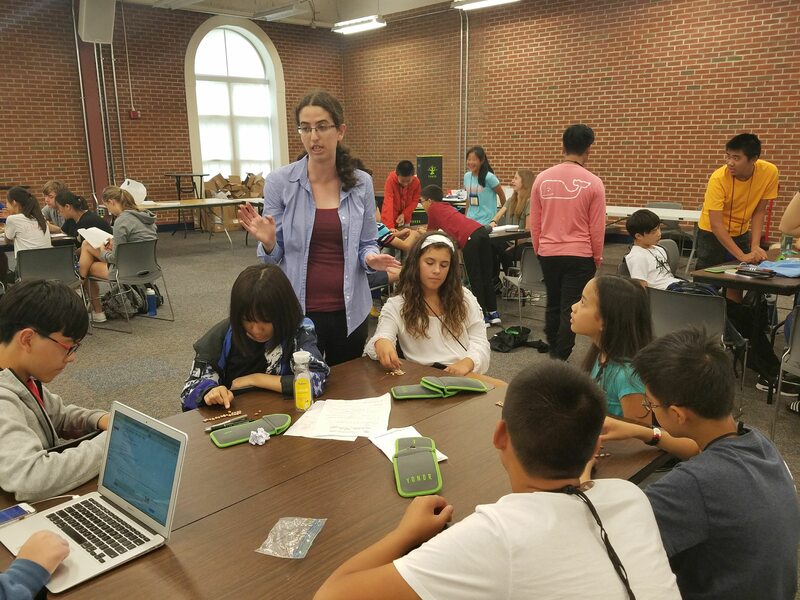 Math League held its 2018 Math League International Summer Tournament (Middle School) from July 22nd through August 1st 2018. 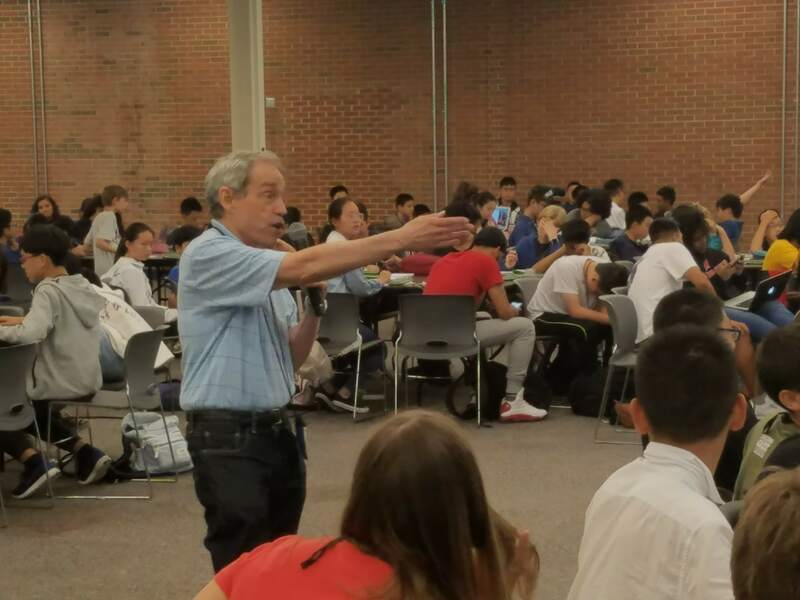 Students engaged in mathematics competitions, listened to lectures from mathematicians from renowned universities, socialized and attended other recreational events. Final results posted below.